Recognition of tourism as social necessity has further influenced the society, economy, development and mass consciousness toward the preservation of cultural heritage. Such rites which preserved the web of cultural history and heritage thus received special attention in this respect. While being part of participatory observeers among the tourists, we realize the utmost need of a small book which might cover various aspects of the site with authenticity and visual appearance. With this idea in mind we have taken Sarnath, narrating its association to and story of cultural heritage, museum and tourism from the grassroot. In this way, the holistic and humanistic approach has been followed to prepare this book about hope for the better future of Sarnath. Above all, We hope that the present work would shed some fresh light to understand the mystery, heritage and mental landscape of people attached to Sarnath within the purview of the cycle of time Kalacakra). The first and foremost sence of obligation for encouragement and support is due to Prof. Onkar Singh, Professor of Environmental Geography at Banaras Hindu University. In fact, he has been invaluable source of inspiration at all the stages of the progress of this work. It is not worthwhile to put simply words of thanks; in fact, it is thankless to thank him. We acknowledge with gratefulness the kind courtesy of the American Institute of Indian Studies (AIIS), Ramnagar (Varanasi) for providing copies of the photographs we needed at free of cost; their credit is given at the place of photographs. "As kingdoms grew into empires and the number of noblemen increased, there were, in addition to royal galleries and museums, large and precious collections by wealthy connoisseurs of art. Sometimes these collections were built out of war trophies from defeated realms. Some- times they were the result of acquisitions by individuals and families of taste. Sometimes they grew out of objects collected by scientists and scholars interested in the study of the marvels of the world. Whatever be their origin, they served to educate and entertain the public and evoke in them the spirit of experiment and study" (in Sivaramamurti 1959, p. i). With a view to servicing courtly ceremonies, there had been royal treasuries, storehouses of works of art and. 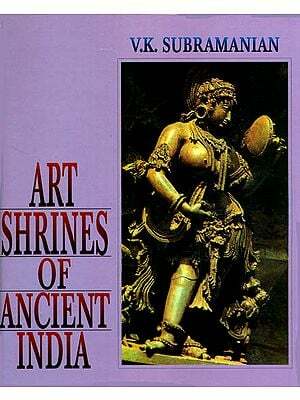 many sacred, monuments in ancient India which served the purpose of the museum. 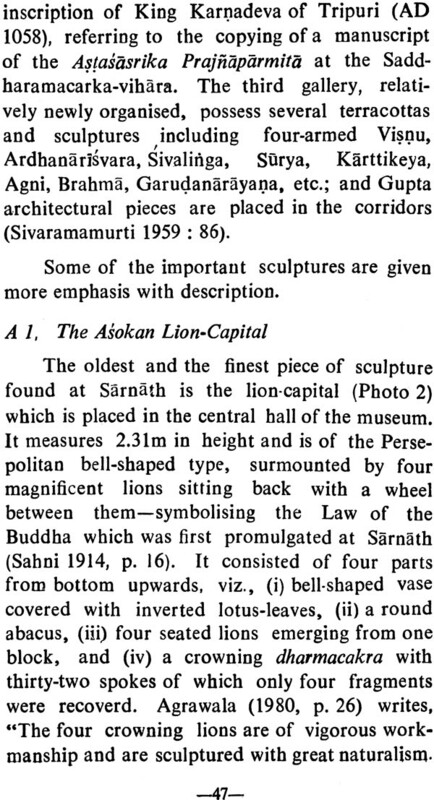 Sacred monuments, like temples, large or small, "owned collections of texitles, manuscripts, images of deities, and ritual appurtenances for use in their daily rites and their annual cycle of festivals" (Punja 1990, p. 12). Such collections and exhibits were an integral part of the living tradition. "Any permanent establishment administered in the general interest for the purpose of preserving, studying, enhancing by various means and its particular exhibiting to the public for its delectation and instruction, group of objects and specimens of cultural value, artistic, historical, scientific and technological collections, botanical, zoologicai garden and aquariums". If one believes in the analogy that 'education without knowledge of our cultural heritage is meaningless', the role of museum becomes an essential part. The museum is the seat where one can satisfy the quest that "seeing is believing" and further 'seeing a thing in situ has its own value' (cf. Som 1985, p. 138). For a historical and cultural understanding of place or landscape, site museum serves as the visual instrument. The sculptures and relics to be seen not only as antiquities rather under the purview of ethical and aesthetic sense. The Outside scenery of landscape, ruinscape and built-scape further to be compared with the inside scenery of the site museum, and finally the interrelations and interdependency of both can be traced out. The construction of site museum also to be in accordance to the common architecture and building of the historical site. 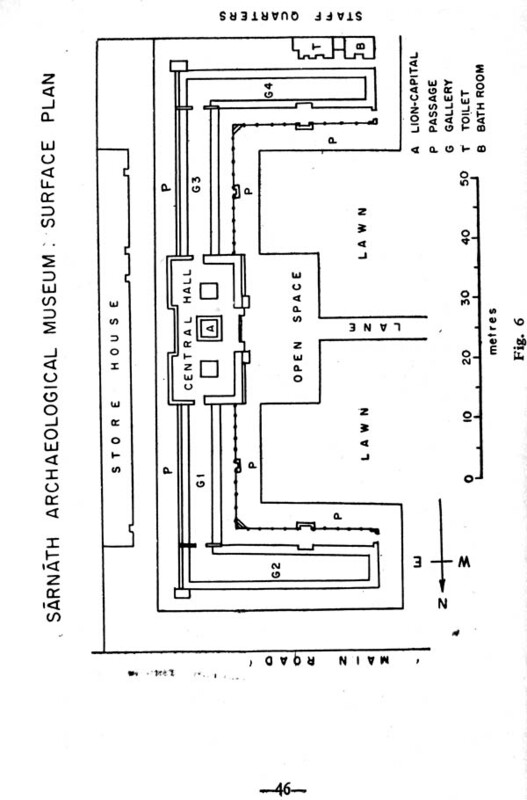 In case of Sarnath the museum building represents a half part of a developed monastery. Moreover, one can have a glimpse of original conception. Adoption of such design and architectural system further reflects the natural spirit of the place and landscape. The museums need to be built in the same spirit as the sacred monuments, that as man's expression of his knowledge of, and delight in. God's work, i. e. nature. In fact, "as long as nature could be seen as God's handiwork there was no paradox in this" (Fuller 1988, p. 21). While natural sciences may be able to exp- lain elements in the landscape as the product of physical processes, similarly human sciences are able to explain the cultural landscape and monuments as the product of cultural processes- deeper involvement of human thought and its heritage as the ultimate resultant. Museums are the storehouse of the cultural heritage which help to understand the link between human creativity and the sensory impression made on the eye by entire contextual association as they were evolved in the past, i. e. "seeing the past without being seen". With the conception that 'the visible things are beneficial to men', it clearly explains to relate meaningfully to the distinct components of the cultural heritage, particularly with the explanation of symbolism involved. The site of Sarnath gives a panoramic-scenic view of the historical landscape (the plan, structure and the builtscape); and the site museum there gives an in depth glimpse of a microcosm of the cultural heritage, rich history and varied traditions developed between the period of 3rd century BC and 13th century AD. This museum, like other site museums, allows visitors to examine artifacts in relation to the total site (from microcosm to macrocosm).